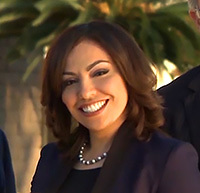 Attorney Hilda H. Zamora is a family & criminal law attorney with a passion for justice. This passion is paired with a deep concern for her clients’ well-being and rights. Known as “La Defensora Del Pueblo” (The Ombudswoman), she treats every case with the respect and individual attention it deserves in order to provide the best possible legal representation for her clients. Attorney Hilda H. Zamora understands that no two cases are alike and no single approach will work for every case. Through her thorough understanding of family & criminal law, Attorney Hilda H. Zamora is skilled at crafting solutions to situations that seem impossible to resolve. She guides her clients through the complex and often confusing legal process in a way they can understand while fighting vigorously for their rights and freedoms. Attorney Hilda H. Zamora is first generation college graduate. She graduated from the University of California, Davis with a double major in Political Science and Philosophy. Shortly thereafter, she obtained a Master of Arts in Criminal Justice from Chapman University in the City of Orange County. Eager to make a difference in her community, Attorney Hilda H. Zamora earned a Juris Doctorate degree from Irvine University College of Law. Due to her high grades and dedication to her studies she was her law school’s valedictorian and received the highest honor recognition from the State of California. Attorney Hilda H. Zamora provides free initial consultations to all potential clients. The consultation gives Hilda a chance to get to know you and your needs and offer you her insights on how to proceed in order to achieve the best possible outcome for your specific case.